How to combine traditional music and jazz ? Sabin Todorov has the answer ! In his last CD release, the Todorov trio plays with a vocal quartet, the Bulgarka junior quartet. Sabin Todorov was born in 1966 in the town of Burgas, Bulgaria. He graduated from Sofia Conservatory, in the Department of Classical Music Theory. In 1997 he arrived in Belgium and continued his education at the Royal Conservatoire in Brussels. He graduated in June 2004, specialising in jazz piano. 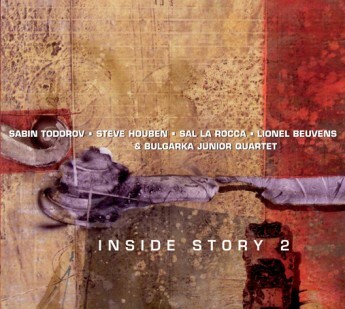 Todorov formed the trio with Sal la Rocca on bass and Lionel Beuvens on drums in 2002, with the idea of implementing a musical project that combines modern jazz and rhythms with melodies from the treasure house of Bulgarian folklore. Take the time to enjoy ! After a stint with rock playing guitar, at age 23, Sal LA ROCCA discovers jazz in the early 80’s and switches to double bass which he intensively explores on his own, taking as a model Paul CHAMBERS. It is aside Jacques PELZER that he meets and plays with Jon EARDLEY. – 1986, he works with French pianist Michel GRAILLIER (Fr.) and American drummer Leo MITCHELL (US). Steve GROSSMAN (t.sax) hires him, together in 1987, for a tour in the Benelux and south of France, to appear in the major Festivals. – In 1988, he is hired for a 6 weeks tour in Singapore as a member of the Steve HOUBEN (a.sax) band, with Jacques PIROTTON (gt) and Rick HOLLANDER (drs) to play at the “jazz club” there. – In 1990, he plays with Sal NISTICO (t.sax), Jacques PELZER (a.sax) and Mal WALDRON (p) at Gouvy jazz festival. – In 1991, member of “Raffaela RENZULLI (voc.) Ensemble” with Charlie MARIANO (a.sax). – 1994, tours with Pierre VAIANA (s.sax), Salvatore BONAFEDE (p) and Dre PALLEMAERTS (drs) as well as with Harold LAND (t.sax), Mike DEL FERRO (p) and Hans VAN OOSTERHOUT (drs). – Participated in the Liege festival with Dave TURNER (a.sax), Vic VOGEL (p) and Felix SIMTAINE (drs), their appearance was recorded by Belgian television. – 1995, concerts in France and Belgium with Lee KONITZ (a.sax), Jean-francois PRINS (gt) and Bruno CASTELLUCCI (drs), and a live CD. Participation in the Montreal Festival with the trio of Nathalie LORIERS (p). – 2002-2003, Benelux tour with : Steve HOUBEN (a.s.) / Gordon BECK (p). – 2003 : Few concerts with Philip CATHERINE “trio”. International tour with : Anne DUCROS “quartet”. CD rec. “Close your eyes” Anne DUCROS + guest. On tour with Nathalie LORIERS “trio” (Japan , Brazil). 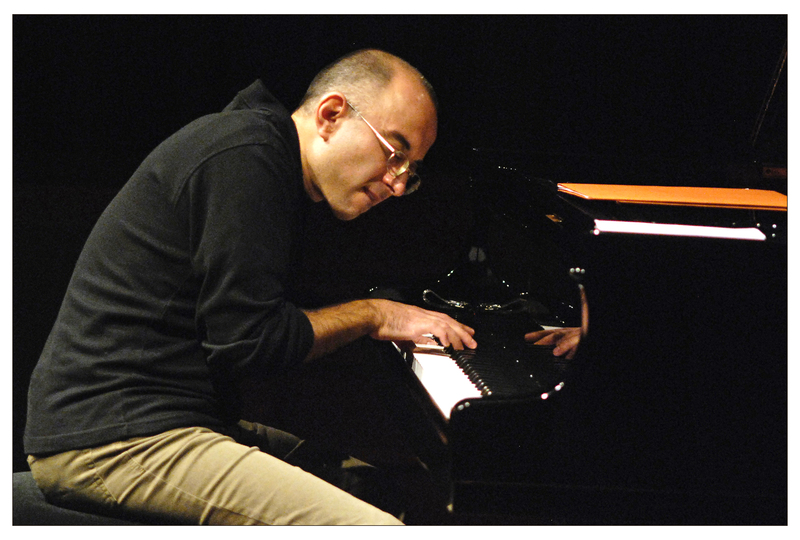 As a leader, Sal LA ROCCA presents his own quintet, of which a first album came out in 2003, titled “LATINEA”. – 2006, “Jazz a Liege” with Steve HOUBEN “trio” + Richie BEIRACH (p), (recorded by Belgian TV). He is now a member of VAYA CON DIOS (band) with Dani KLEIN, and a live DVD.